When you eat some dumplings in a restaurant they look like it´s a lot of work to make them. But it´s not. With only two ingredients you can make the dough for your own homemade dumplings. This dough is the foundation for many delicious dumplings like Chinese jiǎozi, Korean mandu, and Nepali momo. With the help of a food processor or just with your bare hands you will quickly have your own dumplings dough. Use a bowl to mix flour and water. Add flour and make a well in the center. Pour in water, sugar and salt. Mix flour and water until you have a soft dough (not sticky). 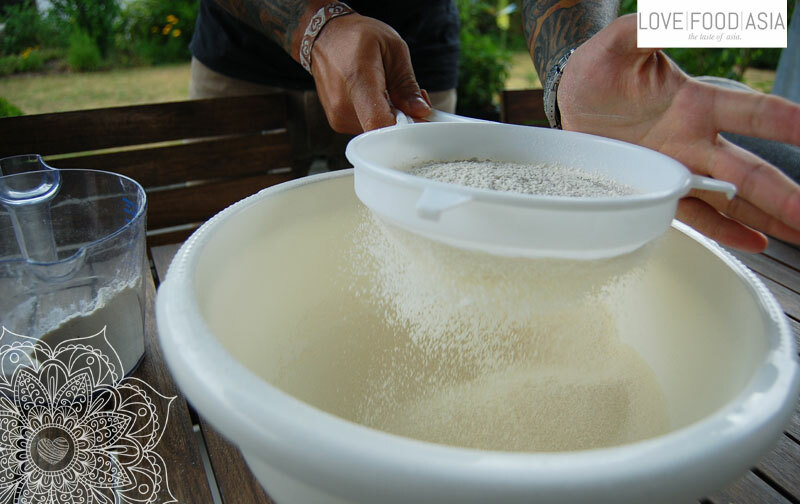 Knead dough in the bowl by hands or by machine (up to 2 minutes). Cover bowl, set aside and let it rest for 15 minutes. The dough should have room temperature before you start to make dumplings!